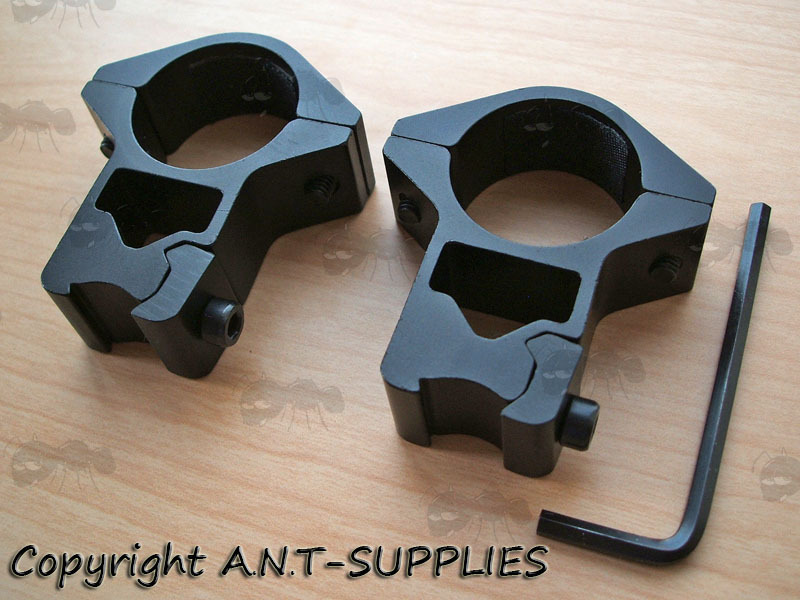 For airguns, rifles, airsoft rifle and pistols with standard UK rails. 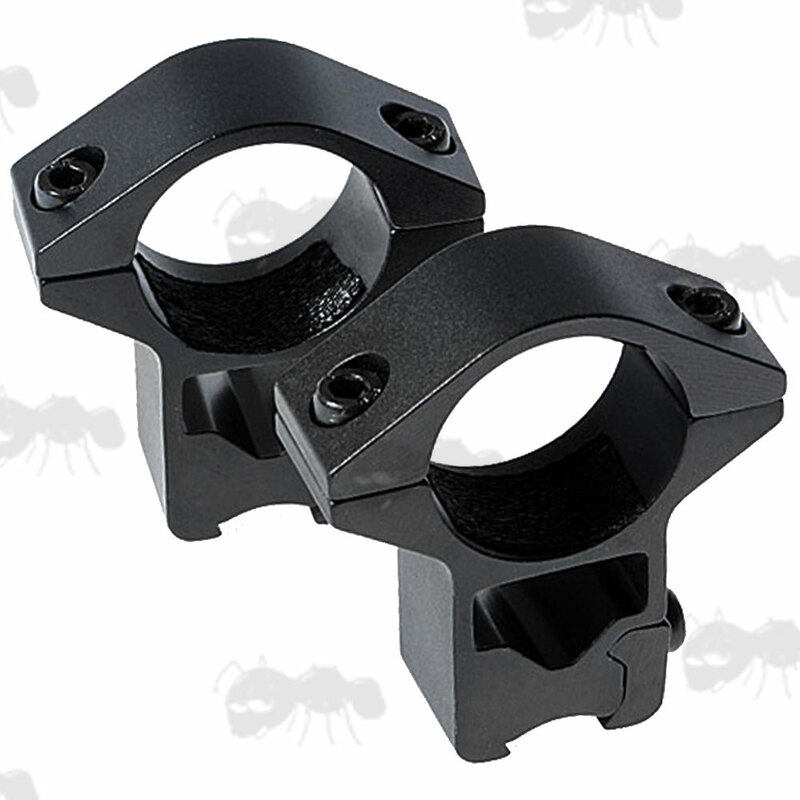 For scopes with up to 44mm diameter objective lens. Overall height 42mm, width of 40mm. Pair weighs approx 70 grams. 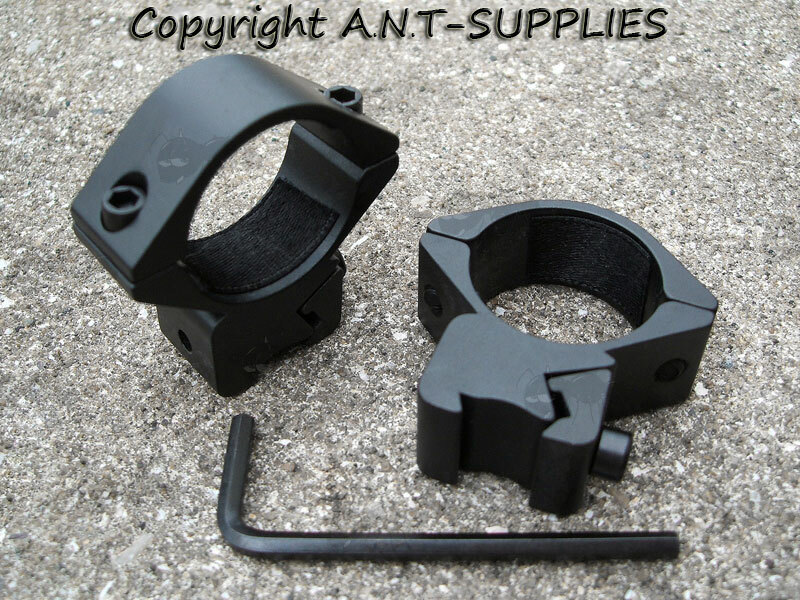 Overall height 41mm, width of 40mm. Pair weighs approx 50 grams. 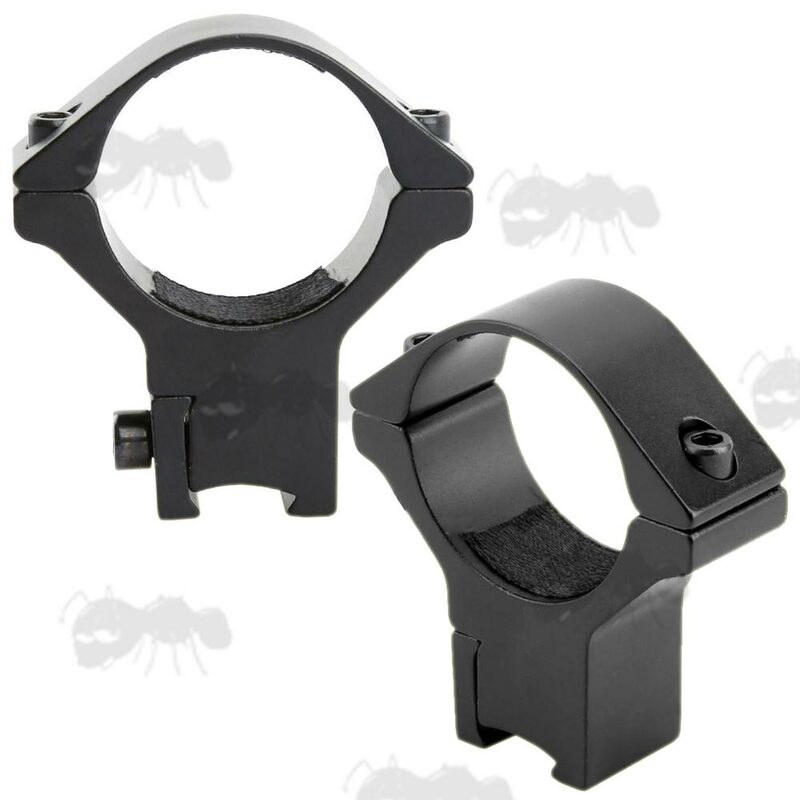 For scopes with up to 56mm diameter objective lens. 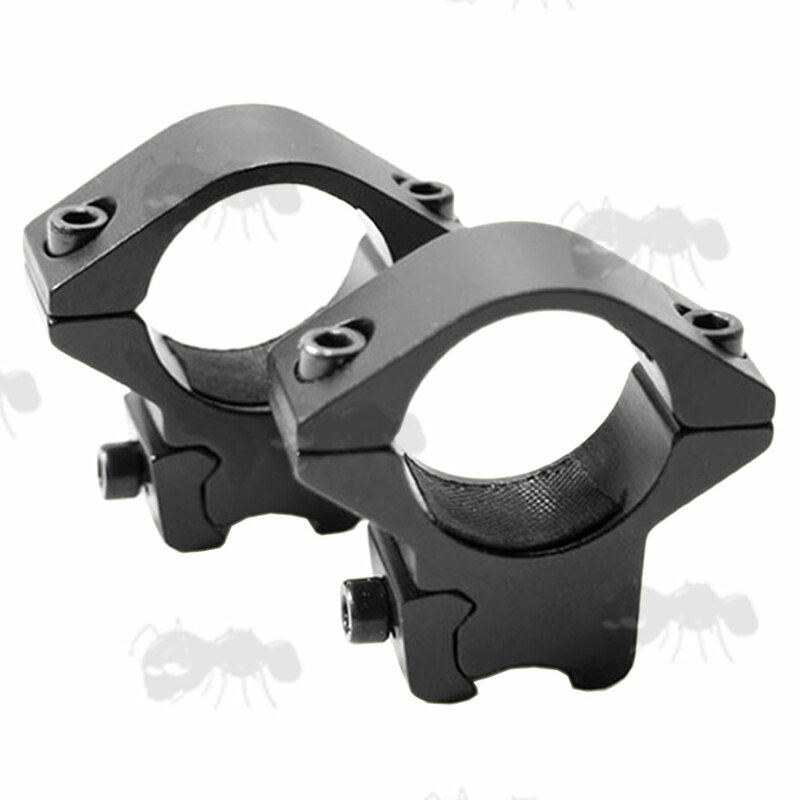 For scopes with up to 54mm diameter objective lens. For 9.5 - 11.5mm dovetail groves. 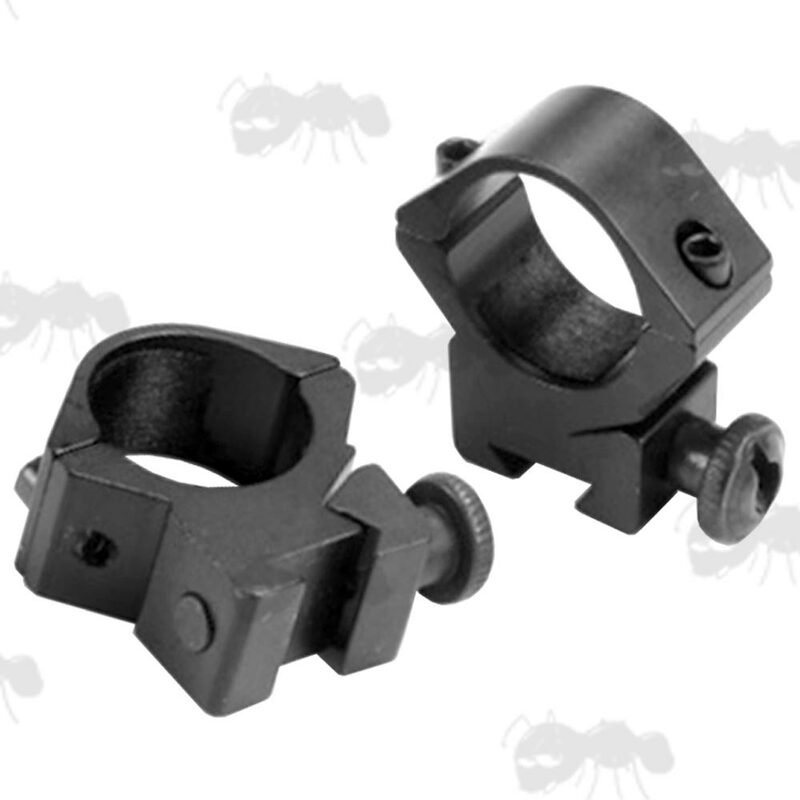 The high-profile 25mm option has a see-through channel so to still allow the use of your iron sights.